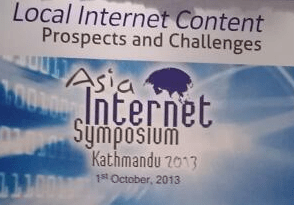 Today, Friday 11 November 2016, the Internet Society’s Asia-Pacific Bureau and the Internet Society Hong Kong Chapter, which is celebrating its 10th anniversary, present Asia Internet Symposium Hong Kong. The Symposium has the theme Shaping our Lives with Internet of Things (IoTs): the Angels and the Devils. Speakers include Fred Baker, Co-Chair of the IETF’s IPv6 Operations Working group; Andrew Sullivan, Chairman of the Internet Architecture Board (IAB); and Rebecca Mackinnon, Director, Ranking Digital Rights at New America. The event will be webcast live on the Internet Society Livestream Channel. Hong Kong is 13 hours ahead of NYC. Wish there will be at update on the symposium for we that can’t make it. Well, there is the webcast. Very good and detailed discussion on all aspects of IoT. On Saturday May 10 2014, the Internet Society’s Islamabad Pakistan Chapter hosted Asia Internet Symposium Islamabad 2014 at the Serena Hotel in Islamabad, Pakistan. The theme of the conference was Internet Governance In Pakistan – Building Multi-Stakeholder Collaboration and it provided an opportunity for focused discussions on topical and current Internet Governance topics and included multi-stakeholder dialogue on building a strong future for the Internet in the country. The event was webcast via the Internet Society Chapters livestream channel. Thank you all for good job.